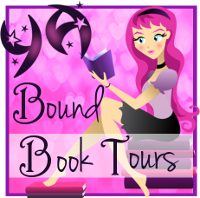 YA Bound Book Tours: Cover Reveal: Run To You by Clara Kensie! Cover Reveal: Run To You by Clara Kensie! Clara Kensie grew up near Chicago, reading every book she could find and using her diary to write stories about a girl with psychic powers who solved mysteries. She purposely did not hide her diary, hoping someone would read it and assume she was writing about herself. Since then, she's swapped her diary for a computer and admits her characters are fictional, but otherwise she hasn't changed one bit. Today Clara is the author of romantic paranormal thrillers for young adults. Her first book, RUN TO YOU, a super-sized three-part serial from HarlequinTEEN, begins February 1 2014 with weekly releases. The sequel, also a super-sized three-part serial, begins June 1 2014. Her favorite foods are guacamole and cookie dough. But not together. That would be gross. Book Blitz Kick-Off: Othello by C.E. Wilson! Book Blitz Kick-Off: POD's by Michelle Pickett! Cover Reveal Sign Up: Othello by C.E. Wilson! Cover Reveal: Unrequited by Emily Smith! Cover Reveal: The Romeo Club by Rebekah L Purdy! Blog Tour Kick-Off: Class of '98 by A.L. Player! Cover Reveal: Twelve Steps by Veronica Bartles! Blog Tour Kick-Off: Clan by Realm Lovejoy! Blog Tour Kick-Off: Crystal Fire by Jordan Dane!